for keeping your food fresh and your drinks cold! 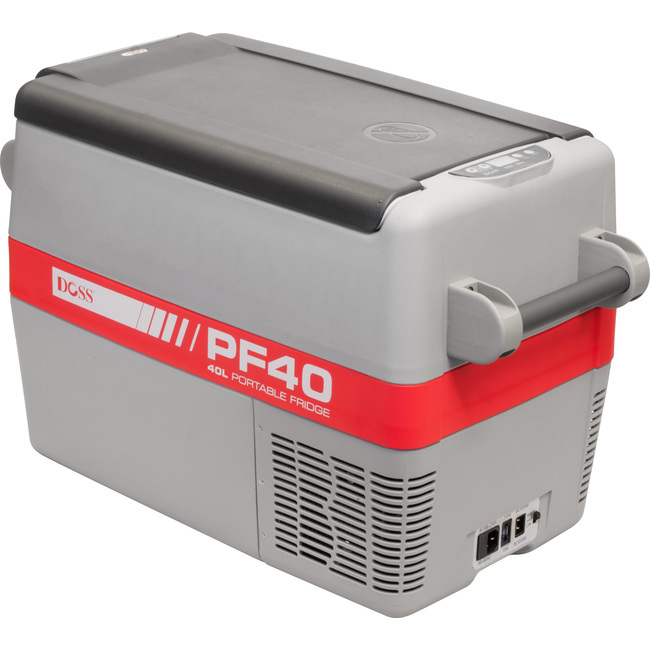 The PF40 DOSS Portable Fridge is capable of being powered from 12V and 24V battery. It is also able to be powered from 240V mains so when you’re setup at a powered site, your vehicle’s batteries can stay charged–ready for hitting the high-way! Our boss has also confirmed that the PF40 can hold a whopping 48 Cans of VB and 10 cans of Red Bull—each and every can tested and found to be ice cold! 40L capacity: Massive 48 Can capacity! Safe to run on angles up to 30° from horizontal—great for 4WDing! Powers off when input voltage drops too low saving you from a flat battery!